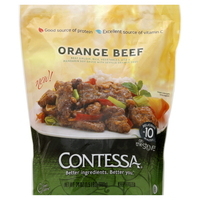 I want to buy Contessa brand orange chicken. It comes in a bag. I’d like the name of all stores in southern California that carries this item. Thank you.